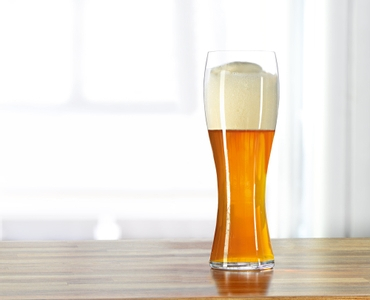 "This set contains 4 pieces SPIEGELAU Beer Classics Wheat Beer glasses. The beer specific machine-made wheat beer glass of the thin blown glass collection Beer Classics supports the beer in releasing its full spectrum of flavours. This glass is designed to offer maximum enjoyment of wheat beer.